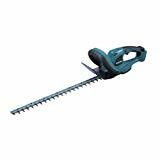 Our mission at Best Hedge Trimmer Reviews is to help you buy the best hedge cutter for you. Everyone dreams of a happy life in a cozy home. 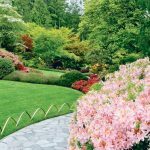 In order to feel great in your house, aside from the interior decisions, it is vital to have a well groomed yard. 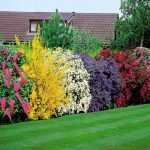 Arguably the most important element for a garden, are of course, the plants. Maintaining them though, may prove to be challenging and time consuming. Have no fear, best hedge trimmer reviews is here to help! 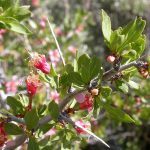 But in this vast variety, how do we choose the best hedge trimmer on the market for our needs? What type do we need? Petrol or Electric hedge trimmer? Or do we need a cordless one, before anything else? The choice of manufacturers is quite confusing as well. On the market, there are products by renowned brands as Black & Decker, Bosch, Einhell and many more. This is the reason we have tried to put together all of this information in one place. Our goal is to simplify your life and ease you when choosing the best hedge cutter. It might seem obvious, but the first place to start after reading our hedge trimmer reviews is your garden. Look at your hedge and see how tall it is. 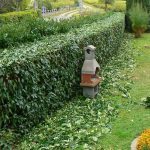 How thick are the hedge and branches ?It is an important factor when you choose the best hedge trimmer. 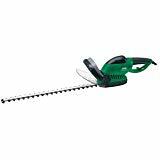 Petrol hedge trimmers are great for the bigger jobs and more frequent use. They don’t have cables and are ideal for large hedges and gardens. 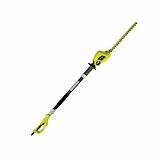 Petrol hedge trimmers are good for areas where an electric cable just can’t reach. They are more powerful than their electric-powered equivalents, enabling you to achieve a faster work rate. In other hand they tend to be heavy. It could be tiring to use for long periods. Petrol hedge trimmers are noisy and are creating exhaust fumes. 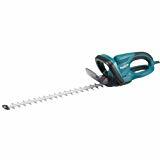 Electric hedge cutters are very popular choice in the UK, and there is a wide range available. They tend to be lighter, easier to use, and you just need to check the cable extension is long enough to reach. Battery powered or cordless hedge trimmers combine two key advantages. First is the the benefit of no cable, and second the convenience to not handle any petrol. If you’re interested in a battery powered hedge cutter, it’s worth considering one with a battery pack. The pack can be worn across the body and that reduces the handling weight of the trimmer. One problem you might face is how to cut the top of the hedge. This often means you might have to use a ladder to reach it. To overcome this challenge, look for a trimmer that has a flip-top cutting head and the telescopic pole for extended reach. That will save you a lot of time and a lot of effort. The first is the length of the blade. Longer blades cut quickly and evenly and are better suited if you’ve got a lot of hedges. They also give you the ability to reach further, trimming higher hedges. The length of a blades can vary from 35cm up to 65cm. 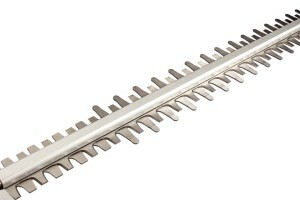 16 Inches or Less These blades work well for small to medium hedges. 18 Inches These blades work well for medium to large hedges. 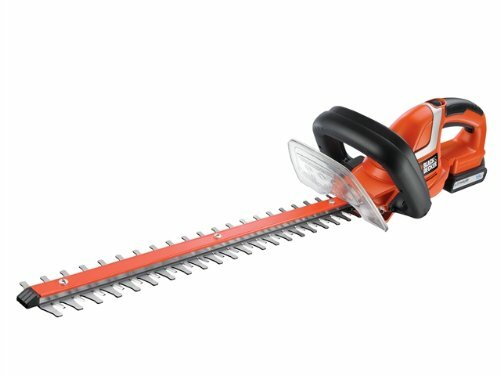 Here at hedge trimmer reviews, we point that another key factor is the spacing between the teeth on the blade. This affects the size of the branch you can cut. So trimmers with a wider gap, can cut through thick branches where those with narrower gap are better suited for hedges that are regularly trimmed. Wider teeth also mean larger motor is needed. 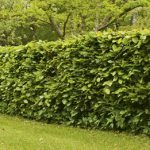 Most have a fairly restricted width of up to 20 mm between teeth, which is fine for an annual trim of a typical garden hedge. Finally you need to consider the quality of the blade. Some blades a standard metal, but the best trimmers have blades that are precision cut with a laser and ground for increased sharpness. So remember – the better the blade the cleaner the cut. There are two type of blades movement: single and double action blades. Both have a pair of blades but on the double-action models both blades move – in opposite directions to each other. On single-action hedge trimmers one of the blades is stationary while the other moves. Don’t confuse single-action with single-sided. Single-sided means only one side of the blade has teeth. Double-action blades tend to be more effective. The blades are moving in opposite directions so they cancel out most of each other’s vibration. This is a major concern if you’re using it for an extended length of time. There are a number feature to look for that will make cutting hedge easier. When buying a hedge trimmer it does help if you can pick it up, and actually get a feel for it because, they vary in weight and balance. It’s important because most of the process of trimming is in a vertical position. A cutter with multiple positions will allow you to work in the most comfortable position for you. Also consider one with easy reach handles to reach higher without the need of a ladder. 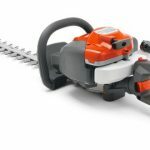 Our experts at Hedge Trimmer Reviews warn than safety is very important when working with power tools. Always read the user manual and wear appropriate safety equipment, like gloves and safety goggles. Hand guard prevents your fingers coming anywhere near the teeth when you’re using the hedge trimmer. A translucent one allows a clear view of the full length of the blade. A blade sheath protects the blade, and your fingers (the cutting teeth are extremely sharp), when carrying or storing the machine. It’s also worth considering a hedge trimmer with the spiral safety cable, and a belt clip to to keep things out of the way.